Koi, goldfish or shubunkin, how do you choose? Koi are by far the most popular pond fish, so let's discuss what it takes to help koi thrive. First, koi are very hardy and adjust well to less than ideal situations. 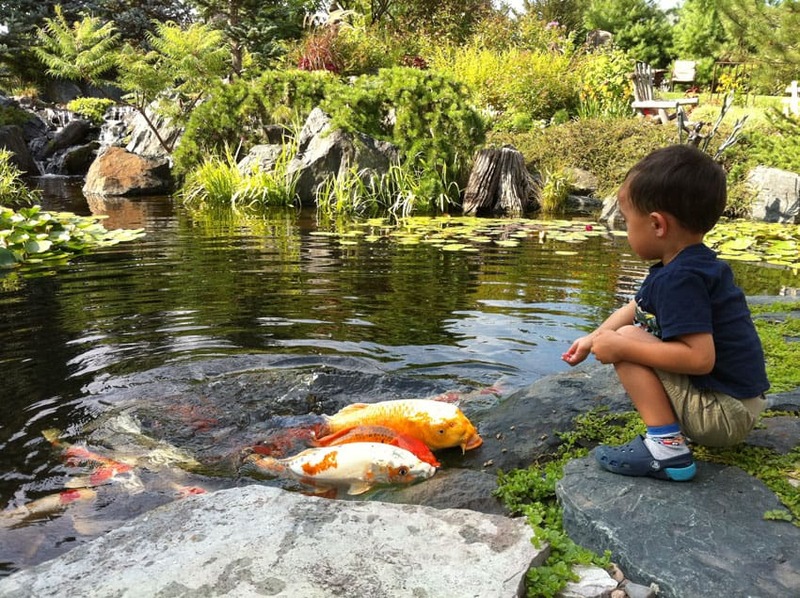 Even though there are specific recommendations and persistent controversies regarding how to best care for koi, overall, keeping koi is a low stress hobby. Two things consistently found in Aquascape ponds that house happy and healthy koi are a gravel bottom and a water depth of two feet. The gravel provides a place for bacteria to grow, which keep the algae to an optimum level, and the koi root in the gravel with their barbels (whiskers) to feed, which limits or even eliminates your need to feed them. If you enjoy feeding your fish, please note that koi will eat more than they should, so limit their food to what they can eat within five minutes. Also, do not feed them when the water temperature is under 50 degrees, as you can harm them and even cause their death due to their slower metabolism in colder water. Oxygen is vital to healthy pond fish, so pump your pond water 24/7 to keep the oxygen supplied and circulating. 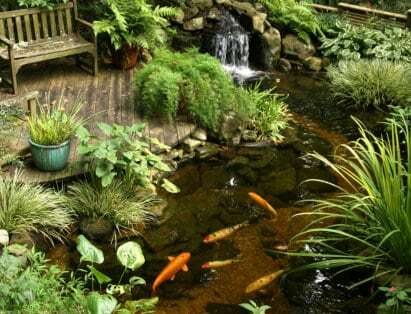 Also, if your pond surface may freeze over, a water heater to keep a hole in the ice provides a way for toxic gases to escape so your fish can easily survive even bitter cold winters, as long as the pond does not freeze all the way to the bottom. Herons, raccoons, owls and other animals will eat koi, but koi can protect themselves if you provide them hiding places in the pond such as caves, a drain pipe or large rocks to go into when predators come calling. These are the basics of koi care, and Premiere Aquascapes can help answer any other questions or help you find a suitable solution to your koi concerns. 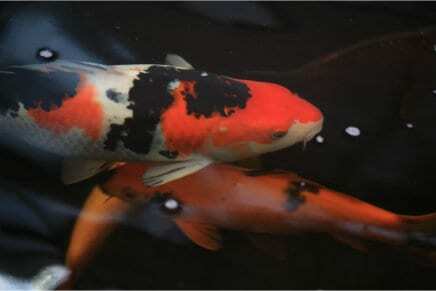 See our new store Premier Pond Supplies for koi fish food and additional supplies for your pond fish.